Home / feature / festival / interview / malaymail / music / the otherside orchestra / urbanscapes / The OtherSide Orchestra is back for Urbanscapes! The OtherSide Orchestra is back for Urbanscapes! At Urbanscapes, plenty of fun and exciting activities are prepared for the party-goers, from the music, to the art, food and crafts – there’s just so much to do! Of course, one of the activities for which many are looking forward to is the closing street party of Urbanscapes. This year, electro rock band The OtherSide Orchestra are ready to make a comeback after three years of absence from the industry, and this time, with a brand new lead singer! 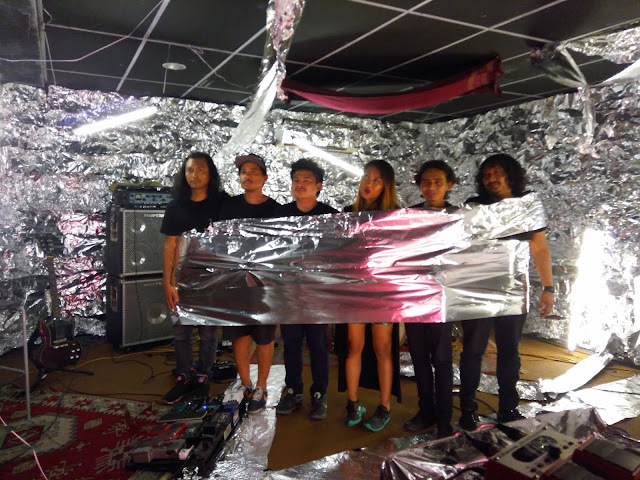 Made up of members Wan (guitar), Rashid (drums), Azan (bass), Remy (guitar), Haizal (synths) and Syima (vocals), the band was formed back in 2006, and had released their first album titled, "Electromancetacy" in 2007. The band became a huge hit, having performed at esteemed music festivals such as Baybeats in Signapore, the Sunburst festival and Rock the World (both in Malaysia)- in fact, this will be the second time that the band will be performing at Urbanscapes as they previously rocked the festival back in 2008! Now with a new front-woman, new songs in the works and another album set to be released this year, The OtherSide Orchestra are ready for their fresh comeback. TheHive.Asia managed to catch up with two of the band members of The OtherSide Orchestra, lead vocalist Syima and the band's lead guitarist Wan, and here's what they have to say about their comeback, reason of hiatus and their songs for the second album. So you guys are making a comeback after 3 years, what do you have in store for your fans? Syima: We are recording some new stuff. We already have some new songs lined up for recording, but we haven’t release anything yet. We haven’t even performed any of these new songs yet. For now, we’re concentrating on doing more gigs. Just trying to get out there! About these new songs that you mentioned, how do you plan to release it? Wan: It’s going to be released as our second album. We actually played some of the songs before, but we never released them officially. So some of them are actually quite old, but we just didn’t include them in our first album. So how is the second album different from the first one? Syima: New vocalist maybe? [laughs] Probably more rock and roll. It is actually more or less the same, but we’re trying to make it more dance-able. Wan: The specific term for this kind of genre is actually dance punk, but we don’t really like the “punk” part, so we decided to call it dance-able rock because punk is another genre. You guys first performed at Urbanscapes in 2008. So how does it feel, getting to perform at the iconic festival for the second time? Are there any memorable or funny memories that you have from the 2008 Urbanscapes? Wan: Actually we’re not exactly sure what we were going to face that day since we never participated in Urbanscapes before. But the experience that we had was awesome! We never expected that such a huge crowd would attend our gig. Hopefully, we can get the same excitement for this year’s Urbanscapes! Syima as a new member of the group, can you tell us how did this happen? Syima: It’s very random actually. Me and my sister, we used to be fans of The OtherSide Orchestra, and the last time I saw them perform was in Singapore. My sister was actually the one that went to a lot of their gigs, so she was also the one who informed me that the band was having auditions for a new lead singer, which was somewhere around last year. So I decided to message Rasheed, our drummer, and we met up for the audition, and then I got it! Wan: This is actually one of the reasons why we went on hiatus, we were actually trying to look for a new singer, but also because we kind of want more time to ourselves so that we can catch up with our lives. We weren’t really in a rush that time, but now we feel like we want to get back in the scene, so we decided to look up for potential singers. It has been around 10 years since you guys made your debut, how do you think you have evolved musically over the years? 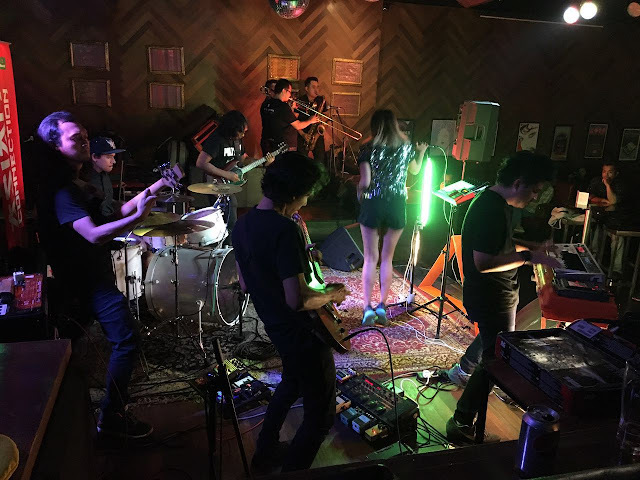 Syima: Since I’ve been listening to all of their music, I don’t think that they really evolved as they try to stay true to what they sound like. They haven’t been trying to change their musical style. Of course now we try to come up with new material, but we’re trying to stick to our genre and not cater to everyone else. I mean yes, we want to sound good, but we’re trying to stick to what we originally are. We see that there are a lot of local bands making comebacks this year, like Bittersweet and OAG, so what do you think is happening? Is it like some sort of a peer pressure kind of thing? Syima: I don’t think so. I think it’s a coincidence. Wan: Yeah, it’s quite a coincidence. I guess all of the other bands are bored, so they’re trying to get back into the game as well. Syima: It just happens to be the year where everyone wants to relive all of their glorious moment back then. So it’s not really peer pressure or anything, it’s actually good that these other bands are booming as well. They’re coming up and trying to introduce themselves to the new crowd, but at the same time, reconnect with the old crowd too. Let’s go back to when you guys first recorded “Electromancetacy”, what was your outlook as a band back then? Wan: We were unsure back then, because all we wanted was to play for fun. Until we decided to record all the songs, it just suddenly happened. The first batch of our CDs sold out within 3 to 4 months, we had around 1,000 CDs back then, and we thought that only 200 copies would sell. What do you think of the music competition in the Malaysian music industry? Wan: We don’t really see them as a competition. Syima: Yeah, we don’t, because we have our own sound too, and we’re not trying to compete with anyone else. You guys are still considered as an indie band. Any plans on going mainstream? Wan: I don’t know really because I'm not sure what’s going to happen after this! Syima: We might try putting one foot at the door, but if we don’t like it I think we’re going to stick to being indie.We’d like to cater to a bigger audience but we don’t really want to go mainstream as in, we don’t want other people to control what we sound like or how we look like, we want to control all of that. Wan: We don’t mind playing with other mainstream bands, but in terms of copyright and everything, we want to control that. What other plans do you guys have this year, and also in the future? Wan: We’re going to do more gigs and have more fun. We’re going to try our best to go as far as we can. Syima: We’re aiming to participate in more prestigious and bigger music festivals, like how they used to go back then! So tentatively, when is the second album coming out? Wan: We’re going to start the recording after Urbanscapes. The drummer will do the drum track first, and the rest of us will start the recording during Ramadhan month. So I guess we’re going to release the album sometime after Ramadhan.